55-year old woman with long standing hypertension which was found on routine examination by the general physician. She was free from cardiac complaints and had no additional risk factors. Medical therapy (ACE inhibition) was initiated. Due to left ventricular hypertrophy on the ECG she was sent to the cardiologist for further evaluation. 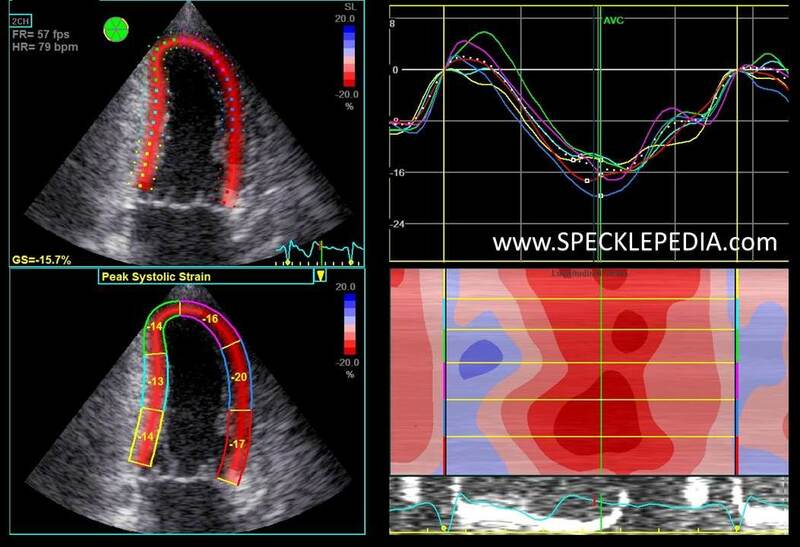 LV systolic function is normal with an LVEF of 60% on 3D echo. No valvular abnormalities were seen. 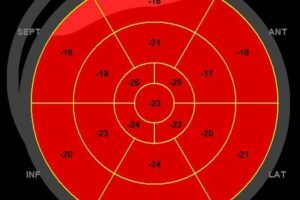 The most striking finding was a concentric hypertrophy with a maximal septal wall thickness of 14mm. Upon visual assessment, there were no regional wall motion abnormalities. 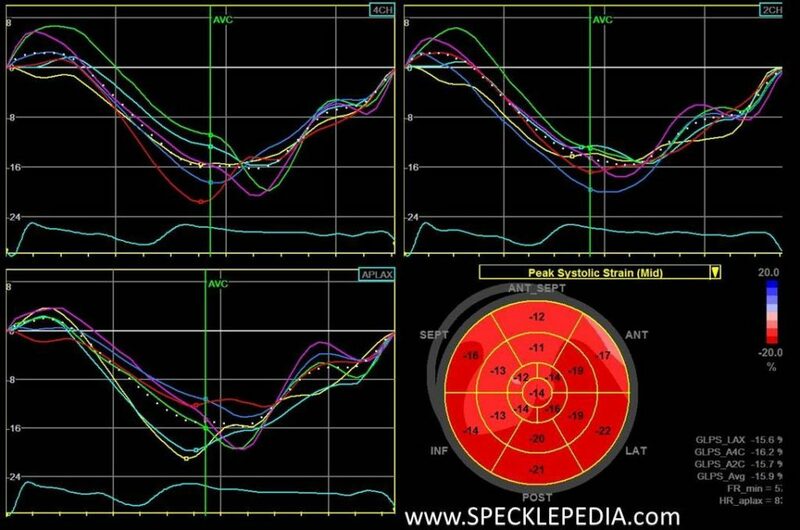 Doppler recordings showed a diastolic function that suggest an impaired relaxation without elevated filling pressures. 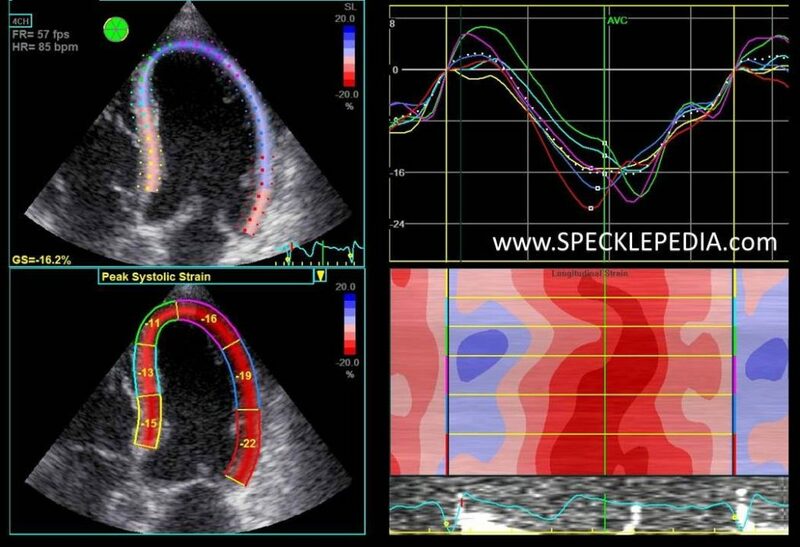 Deformation imaging showed a reduced peak systolic strain in the septal wall (both anteroseptal and the inferoseptal wall). The peak value is reduced, but not further than -11%. In these abnormal segments. 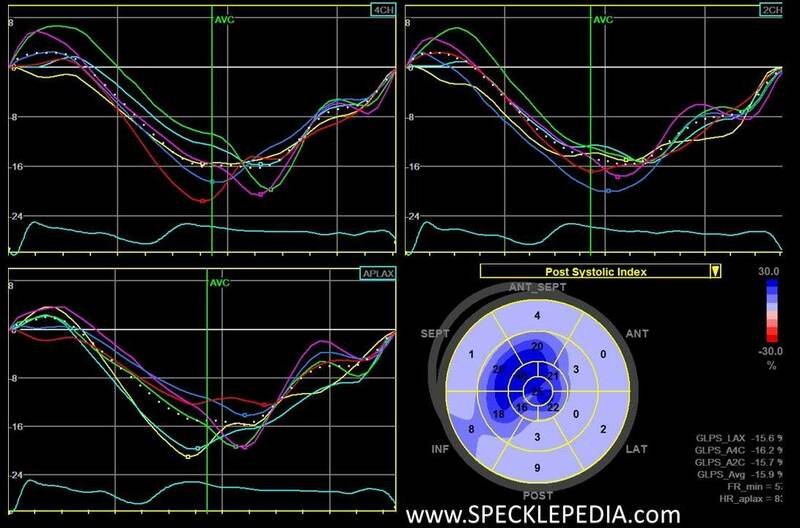 There is post systolic shortening seen in the apical segments of the interventricular septum (see PSI graphs in the second image). The global longitudinal strain (GLS) is also reduced to a value of -15.9% despite the preserved LVEF.